We may have had too much root beer! The page you were looking for has moved, or is no longer available. Please use the menu above to try again. Frostop Root Beer - Nothing tops it but the foam! 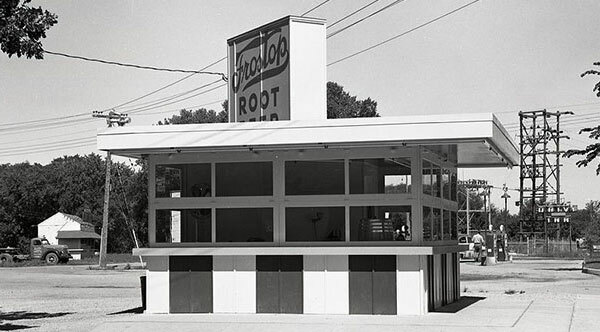 Since 1926, we have served millions of loyal Frostop Drive-In customers with a classic burger-stand menu featuring the tastiest and creamiest Root Beer in America. We are famous for our award-winning Frostop Root Beer, and proud that all our original varieties of root beer and creme soft-drinks are brewed with the same pride and quality as when Mr. L.S. Harvey opened the first Frostop Root Beer Stand back in 1926.